So far we have had a couple of rumors about a follow-up to Motorola’s original XOOM, but nothing too substantial other than a mention of the name “XOOM 2” tucked deep in a site redesign. 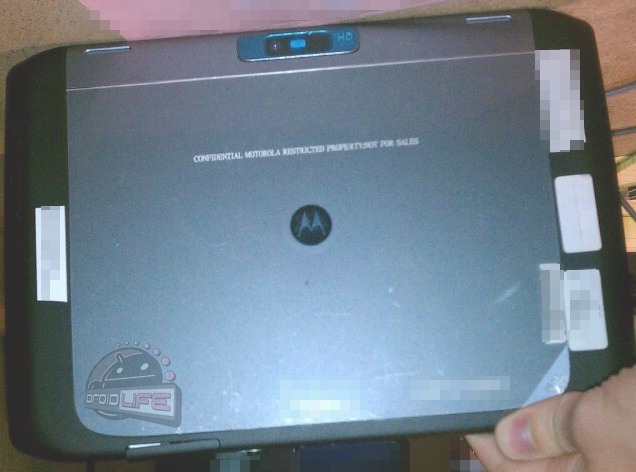 Today, we may change that with pictures of what we believe to be Moto’s next big tablet, the MZ617 aka the XOOM 2. 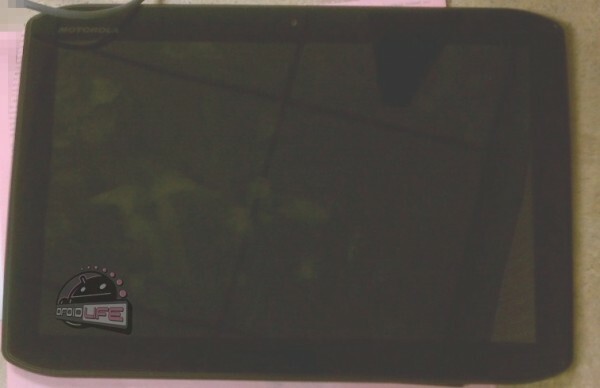 Our sources tell us that the device is similar in weight to the original XOOM, has an HDMI and micro USB port on the bottom, big physical flush buttons on the back, a SIM card slot (LTE we’re assuming), and no SD slot at first glance. From looking at the pictures, we can gather that it has a front camera, a blue rear camera housing that reads “HD”, and appears to have a 10.1″ screen. Oh, and those new angled corners certainly remind us of the Photon 4G or the “DROID HD” – must be Moto’s new design theme. No word on processor, although we would hope for something quad-core. There doesn’t appear to be specific carrier branding, but with the SIM card slot you have to assume that it’ll be tied to at least one if not all of the major players. Hopefully Moto has it figured out this time and releases the WiFi version first though. A look at the backside after the break. Update: The crew over at This is my next received additional details of this new XOOM 2 that are sure to impress many of you. Their sources have this device at just 9mm thick, dual-core 1.2GHz processor (OMAP “turbo”? ), 1GB of “faster” RAM, records 1080p video and can last up to 11 hours on a single charge. It may also launch as the first tablet to ship with Flash Player 11, stream HD Netflix, and have some sort of home automation software.